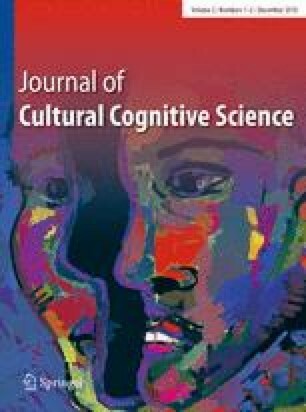 Research on structural priming in the visual-world paradigm (VWP) has examined how visual referents are looked at when participants are repeatedly exposed to sentences with the same or a different syntactic structure. A core finding is that participants look more at a visual referent when it is consistent with the primed interpretation. In this study, we examine the hypothesis that by using multiple primes, we should induce a stronger structural preference, and hence, observe more looks to the visual referent that is consistent with the interpretation of the primed structure. In three VWP eye-tracking experiments, Portuguese speakers were asked to read aloud one, two or three relative clause (RC) sentences that were morphologically disambiguated towards a high- or low- attachment reading. Then, they were presented with a visual display and listened to an ambiguous RC. Listeners fixated more the referent consistent with the primed attachment after one prime, but unexpectedly looked more at the referent consistent with the non-primed attachment following two and three primes. In a fourth experiment, we assessed the gaze pattern during unambiguous RC processing, and found a consistent preference for looking at the non-antecedent referent. Our experiments show that exposure to multiple primes can lead to fewer looks to the primed antecedent. Moreover, people do not seem to always look at the antecedent consistent with the attachment, suggesting that the link between attending to visual information and understanding spoken information may not be straightforward. The online version of this article ( https://doi.org/10.1007/s41809-019-00021-9) contains supplementary material, which is available to authorized users. This work was supported by Fundação para a Ciência e Tecnologia Grants SFRH/BD/72307/2010 awarded to EF and SFRH/BDP/88374/2012 awarded to MC. HB was supported by a British Academy/Leverhulme Senior Research Fellowship. Fernandes, E., Costa, A., Coco, M.I. (2015). Bridging mechanisms of reading, viewing and working memory during attachment resolution of ambiguous relative clauses. In G. Airenti, B.G. Bara, G. Sandini (Eds. ), Proceedings of the EuroAsianPacific Joint Conference on Cognitive Science (pp. 264–269). http://ceur-ws.org/Vol-1419.